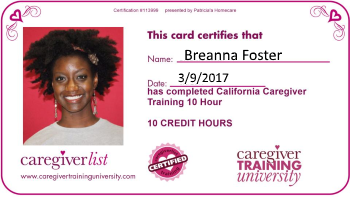 Take Caregiverlist’s FREE Certified Nursing Aide sample test, presented by the developer of nursing aide tests for departments of health nationwide, Hdmaster. These are questions you would find on a real nursing aide exam, as required for final certification. Refresh your skills or learn about the caregiving skills taught to nursing aides by taking the sample test. Part-time and full-time caregiving positions are available for both companion caregivers and certified nursing aides, home health aides and personal care assistants. As caregivers are hired to assist seniors in their homes, in hospitals, in assisted living communities and in nursing homes, there is a constant ongoing need for dependable and compassionate caregivers. You may apply for a position in your area (you indicate the mile radius you are willing to work from your home address) and reach multiple hiring companies with one application on Caregiverlist. You may also return and reapply should you become available for caregiver employment again. Leading senior care companies nationwide employ caregivers using Caregiverlist’s sophisticated hiring tools allowing them to match your application with their available openings.